Free Hot Tub From Sunny's Pools & More and Hair Mechanix! Starting March 29th in conjunction with Hair Mechanix, Sunny’s Pools & More, are giving away a FREE hot tub! 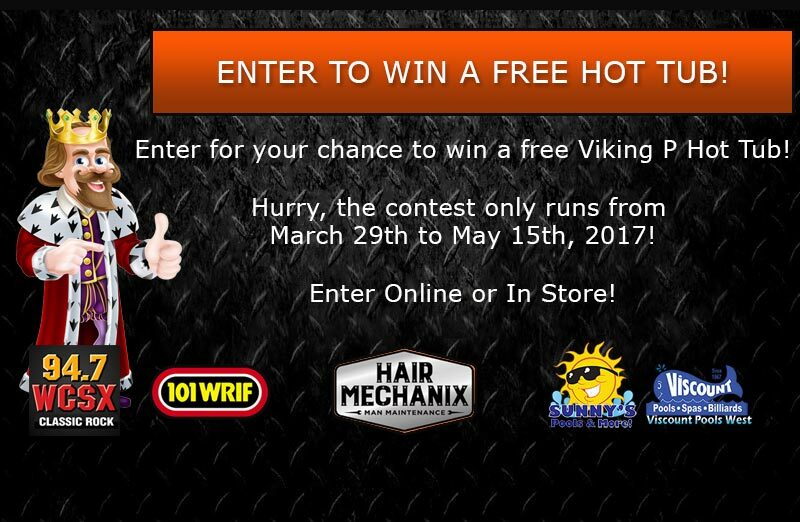 You read that right, one lucky winner will be selected to win a free Viking P hot tub. Listen for our ads on 101 WRIF and 94.7 WCSX, then enter to win your free hot tub. Just fill out this form right here, and you are entered, just that simple! We partnered with Hair Mechanix, the best place for guys haircuts in Michigan, to give away this great prize! So visit one of their local locations or one of Viscount West locations for more details! The Viking P hot tub is a versatile hot tub that is fun for the whole family. 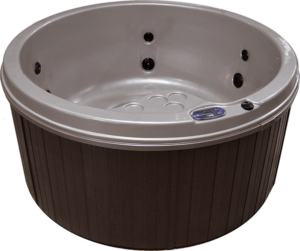 Easy to install and fun to enjoy, the Viking P makes enjoying a hot tub a breeze. In addition, the Viking P out panel is a single unibody design so it will not separate or fall apart. The Hot tub has an MSRP of $4,195, but you can win it for free! Also, the hot tub has a lifetime shell warranty and a 2-year parts & labor warranty. Enter today for your chance to win! If you own a hot tub or win a free one, you want to keep for spa water clean. To do this, we suggest SPA Marvel. The best part about SPA Marvel is it is environmentally friendly with no harsh chemicals. By using SPA Marvel you greatly reduce the need for any other kind of treatment for your spa. Visit Sunny’s Pools Location today for more information on SPA Marvel or any cleaning accessories.